“The visiting card of the nation” is how the German culture minister Monika Grütters has described the Humboldt Forum, a vast €595m museum and events space that will open next year in Berlin’s reconstructed royal palace. 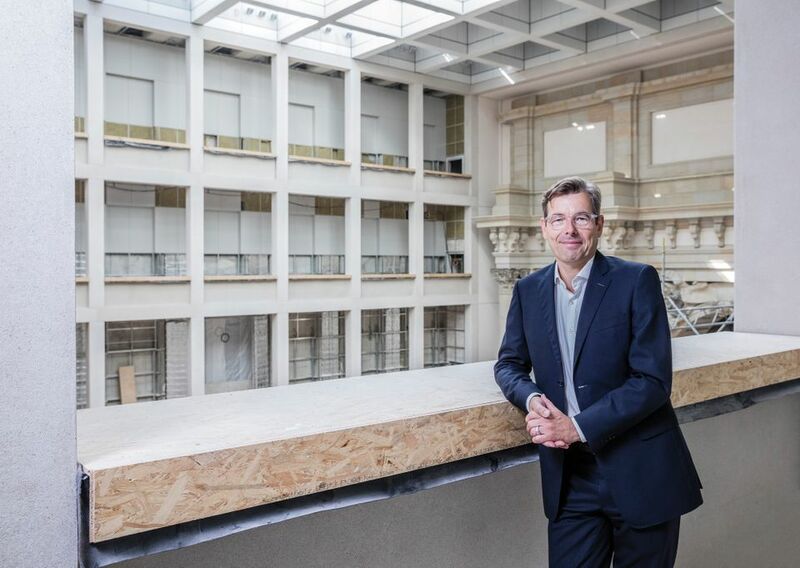 The role of chief host goes to Hartmut Dorgerloh, who in June became the director of an institution that expects to welcome around three million visitors a year. Funded 80% by the federal government, the new culture complex will house Berlin’s non-European ethnological collections and Asian art collections, which have moved from the state museums in the city’s south-western district of Dahlem; permanent displays on the history of the city; spaces for temporary exhibitions; and an open research laboratory run by Humboldt University. The Humboldt Forum aims to stage around 1,000 events a year. Details of the opening “storyline” are as yet sparse. But Dorgerloh is keen to dispel doubts about the construction schedule. 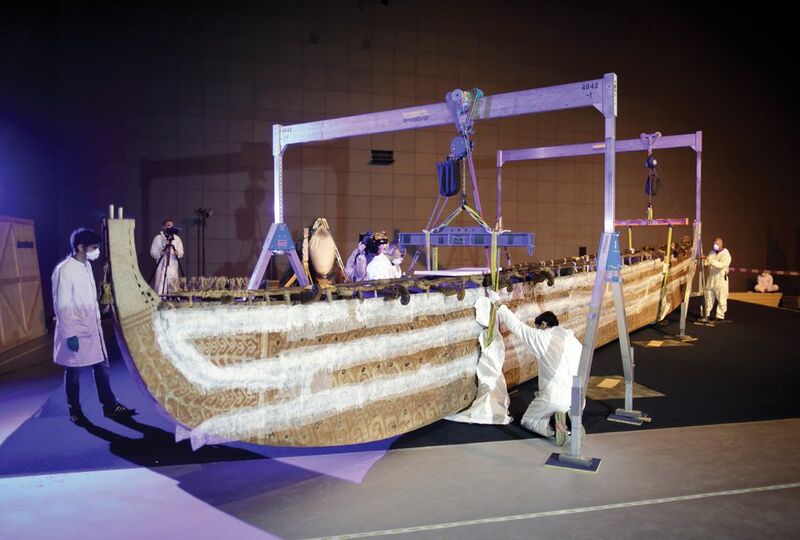 Some larger exhibits have already moved into the building, including a 15-metre-long boat from the Pacific island of Luf. An important date in the inaugural festivities will be 14 September 2019, the 250th anniversary of the explorer and naturalist Alexander von Humboldt’s birth, Dorgerloh says. Even without delays, the Humboldt Forum has a controversial legacy that dates back to long before its inception. The Berlin royal palace was demolished by the Communist East German authorities in 1950. In its place, they built the asbestos-riddled seat of parliament, the Palast der Republik. That in turn was dismantled ten years ago to make way for the partial reconstruction of the royal palace, a decision approved by the Bundestag that nonetheless triggered angry protests about the elimination of East German history. The Humboldt Forum has more recently become the focus of a heated debate over the provenance of colonial-era artefacts. Dorgerloh grew up in Potsdam in the former East Germany and studied at Humboldt University in what was then East Berlin. After heading the heritage protection department of the state of Brandenburg’s culture ministry in Potsdam, he became director of the Prussian Palaces and Gardens Foundation in 2002, a post he held for 16 years. Last year he secured €400m of public funding for the renovation of Unesco world heritage sites in Berlin and Potsdam. But having grown up in a dictatorship, Dorgerloh stresses that he has “enormous respect for parliamentary decisions”. He says he accepted the role of director of the Humboldt Forum because it “represents a very special opportunity for culture, art and improving our understanding of the world”. The question of how Germany understands the world and, in particular, its former colonies, came to the fore in July 2017, when the art historian Bénédicte Savoy abruptly resigned in frustration from the Humboldt Forum’s advisory board. One of her complaints was a lack of attention to provenance research, which she said should be the main focus of the institution. The discussion gained momentum when the French president Emmanuel Macron pledged “a temporary or definite restitution of African heritage” in French museums over the next five years. Grütters has since conceded that colonial heritage has too long been a “blind spot” in Germany and has pledged additional funding for provenance research. A planned exhibition of Benin bronzes will include a detailed description of their provenance and current debates, he says. The Humboldt Forum is a member of the Benin Dialogue Group of European museums, which has proposed a permanent display of rotating loans to Benin City in Nigeria. Berlin’s Ethnological Museum, now part of the Humboldt Forum, is also co-operating with Tanzania on a project researching artefacts stolen during the Maji Maji War of 1905-07, an armed rebellion against German colonial rule in German East Africa. The project will result in an exhibition at the Humboldt Forum that Dorgerloh hopes will later move to Dar es Salaam. In addition, researchers from the museum are collaborating with partners from Brazil, Columbia and Venezuela to investigate the origins of 3,000 artefacts from the Amazon basin, most transported to Germany by the collector Theodor Koch-Grünberg in the early 20th century. The results of the research will be displayed in the Humboldt Forum and on an online database. To advise on co-operation with countries of origin, the Humboldt Forum has created a team of international experts including the Kenyan archaeologist George Abungu, the Indian art historian Jyotindra Jain and Chor-Lin Lee, the former director of the National Museum of Singapore. Neil MacGregor, one of three founding directors of the Humboldt Forum whose term came to an end with Dogerloh’s appointment, will be the only European expert. “President Macron has taken a very ‘I want this’ approach, and I think we need to shift from the ‘I’ to the ‘we’,” Dorgerloh says.